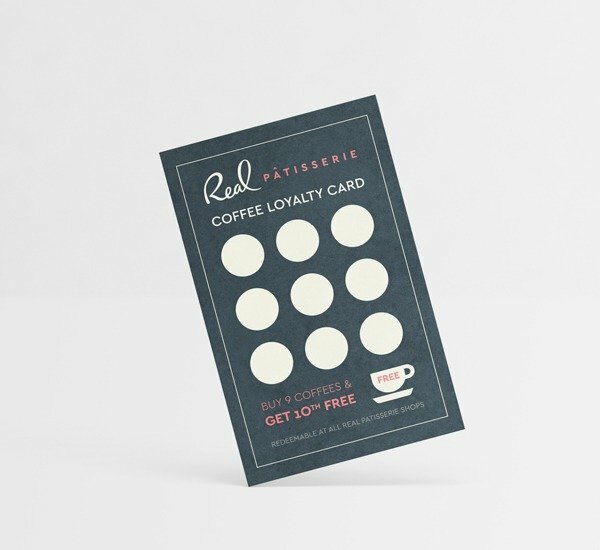 Whether you want Loyalty cards to reward customers for repeat orders or Appointment cards for customers to retain details, our 350gsm Uncoated or Kraft stock can easily be stamped or written on. We also supply bespoke ink stamps, please get in touch for prices. 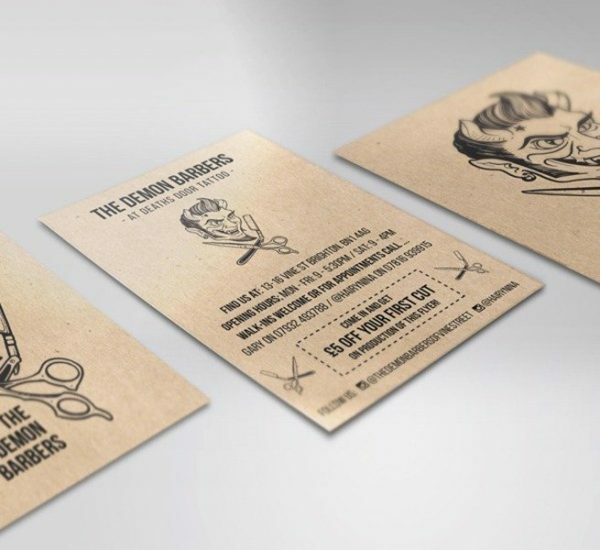 Business cards and folded business cards are perfect for appointment or loyalty cards. 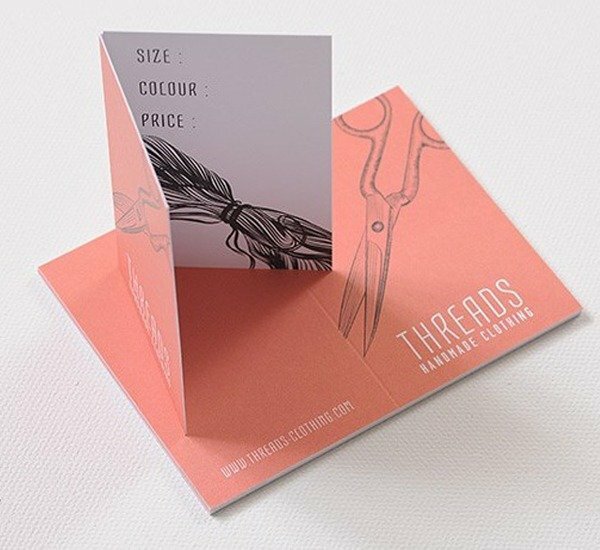 Our Folded Business Cards are creased and supplied flat and both come available on either a 350gsm Silk or Uncoated or Kraft. 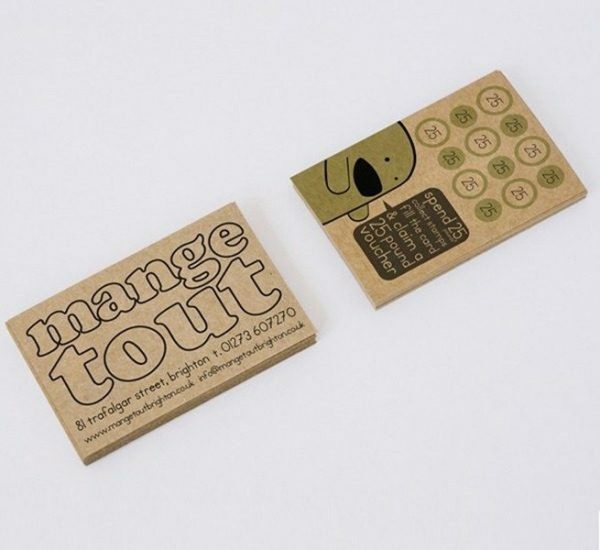 We recommend an Uncoated or Kraft stock for any designs that are intended to be written on or stamped. Printed both sides, choose from 350gsm Silk, which has smooth, sheen finish or Uncoated, which offers a no-fuss finish that can easily be written on. Turnaround times: The turnaround for appointment and loyalty cards is 3-4 days including delivery. If you would like something faster please get in touch, we’re here to help!